Our Department provides a context, a safe environment, and expert guidance for every boy to develop a deep love for, and value of music regardless of their existing skill level or future musical aspirations. We engage boys' imaginations and foster their creativity through tangible experiential learning opportunities. These opportunities guide boys’ investigation of music as a form of self-expression both for individuals and in teams. We firmly believe that there is a place for music in every boy’s life, and that creative, tangible music-learning experiences are both life changing and God honouring. The education within Music Department is based on three pillars: solid private music tuition in one-on-one lessons, ensemble participation with expert directors, and classroom education making explicit the musical foundations of music theory and musicianship. All three pillars interrelate to produce a holistic music education for all students. While we may spend many hours practicing and mastering our own instrument, the best memories of making music are always of making music with others, as an ensemble. The best way to be engaged in any activity is to share it with others. By joining an ensemble, you are joining a community of musicians. You make friends, share the joy of making music together, and peer teach each other. Within an ensemble students make friends with like-minded musicians and forge deep, long lasting relationships. Ensemble playing is more than the sum of its individual parts. Playing in an ensemble allows students to develop team skills, sacrificing one’s ego to benefit the team. Whether students have the melody or harmony, students learn to listen and non-verbally communicate with each other to create music as a team. Skills learnt include learning balance, intonation, rhythm and performance etiquette in a group setting. The conductor is the ensemble leader who brings all parts within a band or orchestra to work as a whole. In order for the conductor to do this, students need to learn how to interpret and respond to the conductor’s gesture and other means of communication. For example, students will learn the importance of following the conductor’s beat patterns and following the tempo. General technique is taught within one-on-one lessons but what ensemble playing can do is reinforce this technique. Even more important is that students can better understand the reason for having learned the technique thus allowing them to be more engaged and motivated to further their technique and musicianship. Often musical analysis is taught within musical concepts such as structure, dynamics, expressive techniques, tone colour, pitch, rhythm. These foundations of music, taught in music classrooms or in private lessons is given a practical application in the ensemble setting, where students can really start to understand the concept and apply their learning. Attending a regular rehearsal on time each week with parts learnt, as well as contributing positively to any performance involves organisation on the part of the individual. Students learn the logistics of setting up their ensemble, of carting their and other instruments from A to B (for example percussion, amplifiers, double basses, stands and chairs). Students will also need to organise time to practice their individual parts so that they are contributing positively to the team. The benefits of playing and performing in an ensemble, group or band is huge, with the most important being that it is fun! Written by Nicholas Tester, Head of Strings, The Scots College. 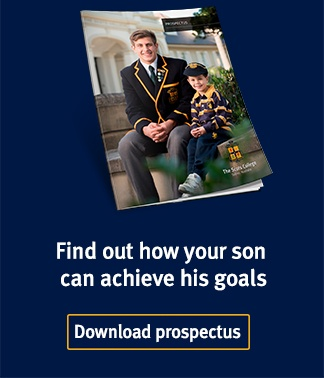 To learn more about the Performing Arts opportunities available at The Scots College, download our Prospectus.